A victim of a very deceitful, habitually lying abuser shared an interaction she had with the pastor of a church she and the abuser attended. We thank her very much for allowing us to publish what this pastor told her. As is so typical, you see here the incredible arrogance such false shepherds have and the refusal to acknowledge his ignorance about the very evils he insists that the victim submit to his counsel upon. 1) “What is your end goal, best case scenario?” Here, in this “harmless” sounding opening question, the pastor is already trying to make the victim say that divorce for abuse is not an option and that her goal must be to stay in the marriage. Over the years as I have ministered in the local church and in ministry to domestic abuse victims, I have learned that very, very few pastors and professing Christians really want to learn about the subject. 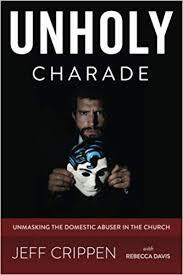 When I began, I stated my purpose as that of educating local churches about how domestic abusers are hiding in their congregations. That is not my fundamental purpose any longer. Because almost none of them want to hear the truth about this subject. Victims, on the other hand, are EAGER to learn and quite often contact me, thanking us for our books and blogs and encouraging me by telling me how their eyes have been opened to the lies and fog put upon them by evildoers – and by their churches. So my focus changed some time ago. I focus on helping the victims. Now, in a previous Monday’s article I talked about the fact that a real Christian cannot be indefinitely deceived by evil. And furthermore, that when we see professing Christians choosing the deception, plugging their ears to the truth, we can be pretty sure that we are dealing with counterfeit saints. Notice the scripture above from Mark 4. Jesus had just told the parable of the soils. Most of the crowd did not get it. Why? Jesus explains the reason. He has not granted them the ability to see and understand. And they don’t want to see and understand. The disciples however had been given “the secret of the kingdom” so that Jesus told them the meaning of the parable – the secret of the kingdom. Now here is the point for our purposes here. Every true Christian is indwelt by the Spirit of Christ and has been given eyes to see and ears to hear Christ’s Word. That truth necessarily exposes lies of the evil one. And thus, at some point, the unholy charade of the domestic abuser is going to be visible to them. 1Co 2:12-14 Now we have received not the spirit of the world, but the Spirit who is from God, that we might understand the things freely given us by God. (13) And we impart this in words not taught by human wisdom but taught by the Spirit, interpreting spiritual truths to those who are spiritual. (14) The natural person does not accept the things of the Spirit of God, for they are folly to him, and he is not able to understand them because they are spiritually discerned. I say again, most of the oppression put upon abuse victims by local churches, pastors, members, and counselors, has its origin in unsaved people and false churches. Is Your Abuser a “Child of God”? (42) Jesus said to them, “If God were your Father, you would love me, for I came from God and I am here. I came not of my own accord, but he sent me. (43) Why do you not understand what I say? It is because you cannot bear to hear my word. (44) You are of your father the devil, and your will is to do your father’s desires. He was a murderer from the beginning, and does not stand in the truth, because there is no truth in him. When he lies, he speaks out of his own character, for he is a liar and the father of lies. Totally bogus. I will prove it to you. Look at the passage quoted above. Does that sound like the Pharisees are children of God? Nope. Who is their father according to Jesus? The devil. They even share the devil’s spiritual DNA. “If God were your father…”. But he isn’t. The devil is. This business of all human beings being children of God is simply the same old theological liberalism that infected the church long ago and which was opposed by faithful saints like J. Gresham Machen. Think a bit further on this. If God loves the wicked because they are his children, then necessarily his love for them is motivated by something in them. That is to say, in some way, God finds them “loveable.” But is that what the Bible says about man outside of Christ? No way. Did God elect us to salvation because of some merit he saw in us? No way. If he did, then grace is no longer grace. Psalm 26:5 I hate the assembly of evildoers, and I will not sit with the wicked. Psalm 139:21-22 Do I not hate those who hate you, O LORD? And do I not loathe those who rise up against you? (22) I hate them with complete hatred; I count them my enemies.